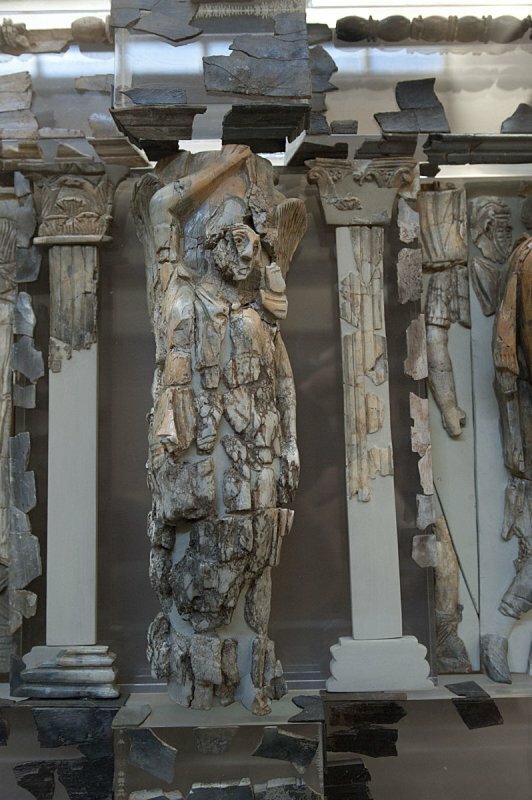 An ivory frieze from a piece of furniture or throne with Romans and warriors, 2nd century AD. I took very many pictures because I love this kind of work. Total length of the frieze: 120 cm. Height: 15-20 cm. Dated: 98-117 A.D. The three larger panels depict the Roman emperor Trajan, preparing for a campaign. He is surrounded bij legionnaires and ’Asian’ auxiliary troops (= from Thrace or Asia Minor). Source: ‘Catalogue du Musée d’Ephèse’ 1989.